"The dog possesses an ebullience which is a sheer delight." Diana Thorne was born Ann Woursell on October 7, 1895 in Odessa, Russia. (Some evidence indicates that she may have actually been born in 1894.) In her youth, Thorne spent time in Winnipeg, Canada and later on a farm in Calgary, Canada. She was to eventually become one of America's most recognized canine artists. Thorne began drawing all her favorite four-legged creatures as a young child. She was the oldest child in a Jewish family of four girls and two boys. Her siblings were Abraham, Paula, Judith, Samuel, and Katherine. Thorne's parents were Chaim and Rose Woursell. During this period, Jews in Russia were experiencing severe oppression and physical attacks. The situation seemed hopeless. Canada opened its doors to immigrants fleeing Russia, offering free homestead land in the West. The family left Canada for Germany around 1912 where Thorne took her first formal art studies at the Imperial Academy in Munich and Charlottenburg Technical College in Berlin. The First World War began two years later and Thorne and her family were subsequently detained by the German government. They managed to escape to England, where Thorne was said to have supported herself as a reporter, librarian, writer, bicycle shop owner, and typewriter repair person. At this time she began her first experiments in both illustration and etching and was said to have studied with artist William Strang. On September 27, 1920, Thorne and several of her family members arrived in the United States. Her first published etching, titled "Rollin' Home", was well received in 1926. From this point on, she became an established artist. Thorne began commercial artwork in New York City in 1929. In her private life, she was known as Mrs. Arthur North, claiming to reside at times in Boston, Massachusetts, Philadelphia, Pennsylvania or Connecticut. (The pseudonym Thorne originated from an anagram of the name North.) There is evidence that Arthur North was actually an alias of artist Carton Moore-Park (1877-1956). This ruse allowed Thorne and Moore-Park to present themselves as a married couple, even though Moore-Park was already married. Frequently, biographies of the artist are filled with inaccuracies supplied by Thorne herself, such as referring to her father as a Scotsman or claiming to be Canadian born, which served to conceal the true details of her past. The author-illustrator of more than forty books and illustrator of more than fifty, Thorne's main reason for success was a total dedication to her drawing and a deep love for her subject matter. A sportswoman and owner of dogs herself, Thorne illustrated (and often authored) children's books dealing with dogs and animal life. Thorne's longtime publisher was the Saalfield Publishing Company of Akron, Ohio, once a leading publisher of children's literature and paper novelties. In her etchings of dogs, Thorne had the ability to show motion and action. A combination of whirling lines with solid lines and light and dark tones brings to the viewer's eyes the dog in motion. Thorne’s dog etchings are admired because they capture the humor and energy transpired by man and dog. In addition to dog etchings, she is also known for a series of socially sensitive etchings published in a 1928 portfolio, "The Human Comedy". Thorne also executed a series of popular sports etchings featuring topics such as skiing and boxing which were characterized by multiple images engraved on the same plate. Very much in demand as an animal portrait painter, Thorne illustrated some of the most famous dogs in America, including Franklin D. Roosevelt's Scottie "Fala" and Admiral Richard E. Byrd's "Igloo", the terrier who accompanied him on his famous Antarctic Expedition. Diana Thorne was most active between the 1920s and 1940s. Sadly, she was diagnosed as mentally ill and committed to New York City's Belleville Hospital in September 1962. Thorne died in July 1963. 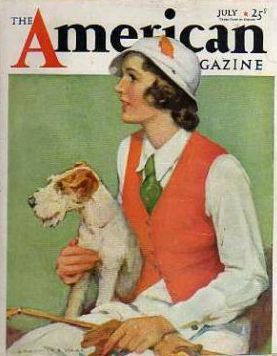 Diana Thorne's work appeared in numerous magazines and newspapers including The American Magazine, The Literary Digest, Liberty, The Woman's Home Companion, The Household Magazine, Maclean's, Home Arts, Nature Magazine, National Home Monthly, This Week Magazine, The American Kennel Gazette, The New York Times, The Boston Post, and The New York Herald Tribune. 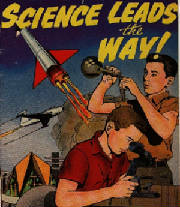 Throughout the 1940s she was a regular contributer of artwork and written articles to the Christian Science Monitor. Thorne was widely known in New York and London for her artwork. Noted galleries such as Kennedy & Company and the Schwartz Galleries of New York City, the Gage Gallery of Cleveland, and the Hudson Galleries of Detroit carried many of her etchings, which were produced in editions ranging from fifty to one hundred signed impressions. Her print, "Pan of Puck Hill", was featured in England's Fine Prints of the Year and was also selected as one of the Graphic Arts Society's Fifty Best Prints of the Year by the Chicago Society of Etchers. Thorne received widespread acclaim for her unique etchings, sketches, watercolors, sculpture, lithography, and paintings, which were exhibited in the principal cities of the United States and England. She had her first New York City showing in April 1929 at the Schwartz Galleries in an exhibition titled, "Drypoints and Drawings by Diana Thorne". 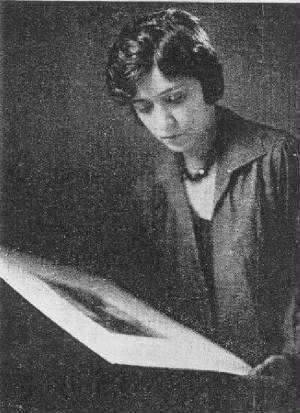 In 1930, her work was presented at three solo exhibitions. The first took place at the Vose Galleries of Boston. This was followed by additional exhibitions in New York City at Milch Galleries and the Fifty-Sixth Street Galleries. Her work was also featured at the Brooklyn Museum of Fine Arts, Smithsonian Institution, The College of William & Mary, and the Rhode Island School of Design. Thorne was an early member of the Associated American Artists. This organization was created in New York City in 1934 with the mission of bridging the gap between artists and their audiences by making fine art affordable. A leading publisher of original art, the Associated American Artists commissioned etchings and lithographs from Diana Thorne and other artists. In 1944, Thorne became the art director of the John C. Winston Company, which also published several of her most popular illustrated children's books. In addition to many successful shows and exhibitions devoted to her work, she was also awarded memberships in several prestigious print societies and clubs, including the Chicago Society of Etchers, National Association of Women Artists, Royal Society of Painters and Sculptors, Boston Arts Club, Philadelphia Art Alliance, and the California Print Makers. Thorne's love of dogs and animals is clearly evident in her work. 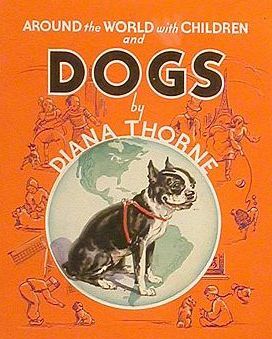 Diana Thorne had a unique ability to capture the true essence of "man's best friend". "She is a true artist...Above all things, she works within and through the blithe spirit of childhood."